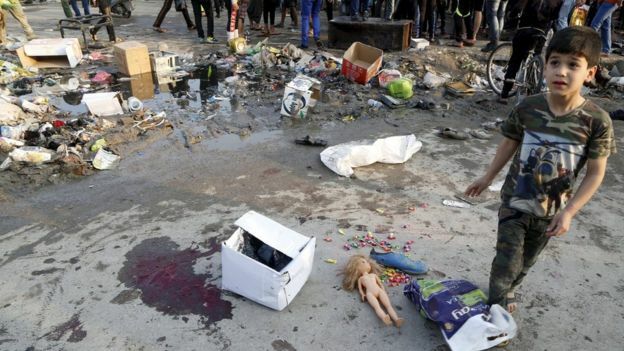 The death toll from Sunday’s twin suicide bomb attack in Baghdad by Islamic State (IS) militants has risen to at least 70, Iraqi officials say. Several of those critically wounded when the bombers targeted a busy market in the Shia district of Sadr City died overnight, officials said. More than 110 others reportedly remain in hospital, while five are missing. Visiting the scene of the bombings, Iraqi Prime Minister Haider al-Abadi denounced the attackers as “cowardly”. He vowed that their targeting of “defenceless citizens” would not deter Iraqi government forces from seeking to defeat IS, a Sunni jihadist group that controls large parts of the country’s north and west. The UN special envoy to Iraq, Jan Kubis, said the “particularly vicious and cowardly terrorist attack” was “clearly aimed at inflaming sectarian strife”. IS said it would continue to target Shia Muslims, whom it considers heretics. Officials said that in Sunday’s attack, the first bomber blew himself up in the crowded Mredi market in Sadr City. As a crowd and emergency personnel gathered at the site, the second bomber struck. On Thursday, a Shia mosque in Baghdad was targeted by two suicide bombers, killing 15 people. With IS suffering recent setbacks elsewhere in the country, there are fears that the group will step up its attacks in the capital. 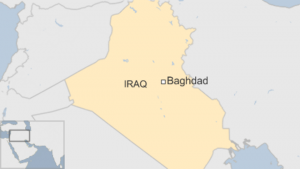 Earlier on Sunday, IS militants launched an assault in the western suburb of Abu Ghraib, which is about 18 miles (29km) from central Baghdad and is close to the international airport. Iraqi security and Shia-dominated paramilitary forces suffered casualties, but said they killed 20 attackers and were swiftly able to secure the area. 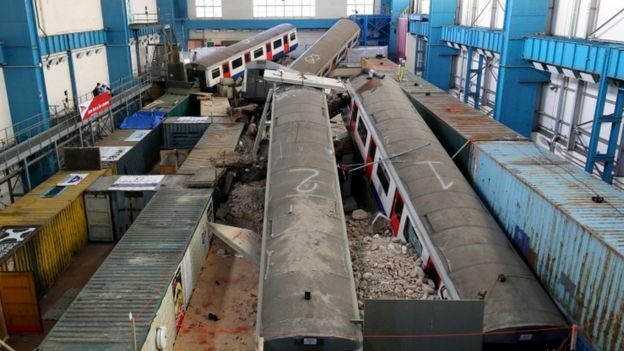 Hundreds of emergency services staff and volunteers are taking part in Europe’s largest disaster training exercise. Firefighters, police officers and ambulance staff are facing a scenario based around a tower block collapsing on to Waterloo tube station in London. Four separate venues in London as well as a disused power station in Dartford, Kent, are being used for the exercise. A total of 2,000 volunteers will act as the casualties over four days. Disaster victim identification (DVI) teams from all UK police regions are working alongside other forensic specialists during the training exercise, referred to as Exercise Unified Response and co-ordinated by the London Fire Brigade. In total, more than 250 personnel from these teams are working at the scene and in a specially constructed temporary mortuary during the four-day exercise. More than 70 “partner agencies” including local councils, utility companies and specialist search and rescue teams are also taking part, as are disaster victim identification teams from Denmark, Germany, the Netherlands, Belgium, Luxembourg, France, Italy and Spain. Chief Constable Debbie Simpson, National Police Chiefs’ Council lead for Disaster Victim Identification, said: “When disaster strikes families need to be confident that the authorities are doing everything they can to identify their loved ones in a dignified and respectful way, whilst supporting any criminal investigation. 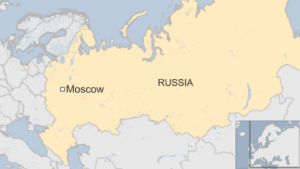 Police in the Russian capital Moscow have arrested a woman on suspicion of murdering a child after she was found apparently carrying a severed head. The woman, believed to be the victim’s nanny, is suspected of killing the child before setting fire to its parents’ apartment. CCTV appears to show the woman, dressed in a hijab, walking near a metro station with a head in her hands. A police officer then intercepts her and wrestles her to the ground. A criminal investigation was launched after the discovery of the remains of a child aged three to four, whose body bore traces of a violent death, in a charred flat on Narodnoye Opolcheniye Street in north-western Moscow, it added. “According to preliminary information, the child’s nanny, a citizen of one of the Central Asian states born in 1977, waited for the parents and elder child to leave the flat and then, for reasons not established, murdered the infant, set fire to the flat and left the scene,” it added in the statement. French demolition teams acting on an eviction order have begun dismantling huts with hammers in part of the Calais migrant camp known as the Jungle. They seem to be leaving inhabited huts intact as they move through the camp’s southern sector, with riot police standing by in support. Two bulldozers have appeared on the periphery and a water cannon has been deployed although not yet used. The government plans to relocate migrants to proper reception centres. 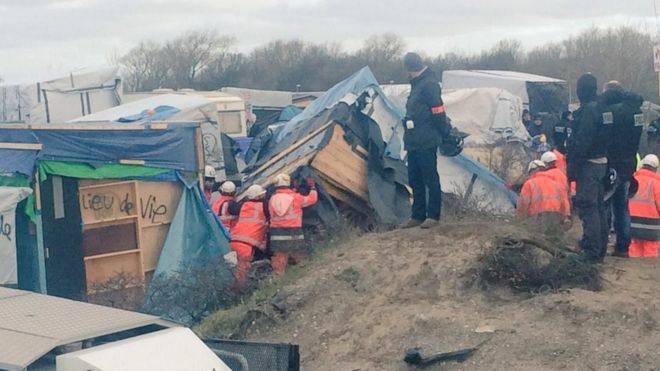 Those living in the camp, mainly from the Middle East, Afghanistan and Africa, hope to cross the Channel to reach the UK, often using people traffickers to try to enter illegally. At least 15 people have been killed in a so-called “double tap” bombing at a Shia mosque in Iraq’s capital Baghdad. Scores of people were wounded in the blasts, thought to have been the work of two suicide bombers. The first assailant detonated his vest inside the mosque and the second blew himself up when security forces gathered at the site, reports say. The so-called Islamic State (IS) group claimed the attack at the Rasul al-Azam mosque in the Shuala neighbourhood. IS said the bombers had targeted “apostates” – a term the Sunni Muslim jihadist group uses to refer to Shia Muslims. The “double tap” is a technique used to maximise casualties, where a second device is detonated at the site as people flee or emergency services arrive. At least three of the victims were members of the security forces. A police source told Reuters news agency: “Two suicide bombers wearing explosive belts blew themselves up in front of the Rasul al-Azam in the Shuala district. IS has carried out a string of deadly attacks on Shia mosques in Iraq. It says it carried out an attack on a Baghdad shopping centre last month which killed at least 18 people.